A dark and bitingly humorous collection of short stories from the “brilliantly evocative” (Time) Paul Theroux. A family watches in horror as their patriarch transforms into the singing, wise-cracking lead of an old-timey minstrel show. A renowned art collector relishes publicly destroying his most valuable pieces. Two boys stand by helplessly as their father stages an all-consuming war on the raccoons living in the woods around their house. A young artist devotes himself to a wealthy, malicious gossip, knowing that it’s just a matter of time before she turns on him. In this new collection of short stories, acclaimed author Paul Theroux explores the tenuous leadership of the elite and the surprising revenge of the overlooked. He shows us humanity possessed, consumed by its own desire and compulsion, always with his carefully honed eye for detail and the subtle idiosyncrasies that bring his characters to life. 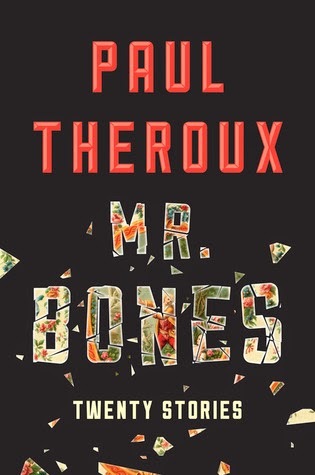 Searing, dark, and sure to unsettle, Mr. Bones is a stunning new display of Paul Theroux’s “fluent, faintly sinister powers of vision and imagination” (John Updike,The New Yorker). I feel like there are probably a lot of pretentious, writerly things to say about the quality of these short stories. Thoughts on the way it reflects the conditions of modern humanity and its darker aspects, particularly those motivated by greed and consumption. What it all comes down to in the end is that smarter people than me are just raving about this book. And the writing is certainly well done. Every aspect of short stories that I appreciate and admire are present: the set up, the subtle shifts, characters who are representative of humanity as a whole, etc. So from a technical standpoint, things here are all looking fine. 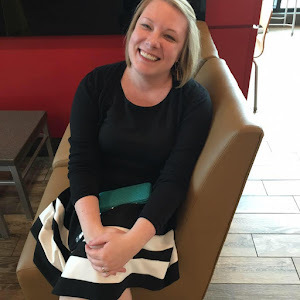 You may have sensed above that I was less than enthusiastic about these stories. I am. I just didn't get it. I was super excited to start this collection, given the description of "searing, dark and sure to unsettle" but if that was the measure of the collection, I have to say it failed. Sure, it was dark. And dreary. And the outlook was bleak. But it wasn't unsettling and nothing about it made me stop and think. It wasn't the intriguing kind of dark, just the dingy, smoggy, poor kind of dark, if that makes any sense. I was hoping to be unsettled and was, instead, just bored. Selfish people do selfish things. Some stories were more entertaining than others - I did actually find myself enjoying "Voices of Love" and "Long Story Short" - a series of vignettes. And I also enjoyed "The Furies". For the most part, however, I was bored and somewhat disappointed with the collection as a whole. I think it's completely successful in terms of writing quality. And they're largely what I think the more literary elite expect to see from an author describing the dark side of humanity. Think lots of suburban ennui, working class woes, and dingy urban landscapes. Theroux certainly has his place in literary fiction and in the genre of short stories, but it's not one that I personally enjoyed very much and it won't be earning a spot on my shelves.